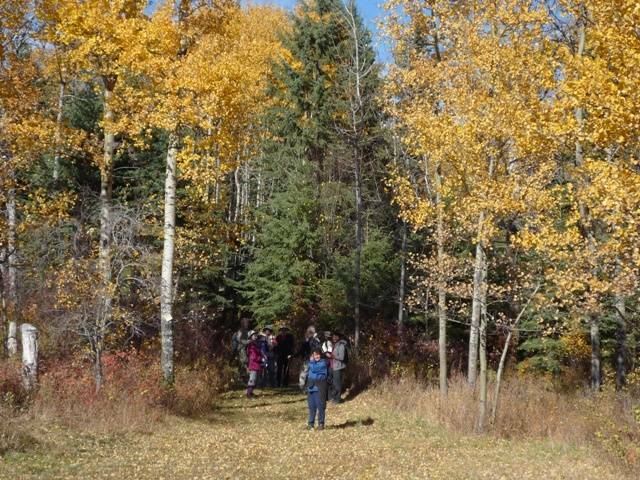 Guided hikes are free and open to everyone who is capable of walking about 10 km over a span of 3 to 4 hours, including lunch and frequent breaks along the way. Visit the event calendar to find the details of the scheduled upcoming hikes. Waskahegan members are not required to pre-register. If you are not a member, you can call the hike leader—phone number is in the event details on the calendar. Or use the Contact Form. Or, if you are on Meetup.com, you can join the Hike the Waskahegan Trail and register from there. Are you interested in leading a hike? Find out what hike leaders do and how you can volunteer. Everyone who participates in a guided hike must sign a waiver. Members who hike regularly will sign the waiver when they join or renew membership. If you are not a member, and you are over 18, you can sign the online non-member waiver. You can also download and print the non-member waiver and child (under 18) waiver and bring them with you to the event. Bring or wear your hiking boots or shoes and clothing appropriate for the weather, and bring water and lunch. Some hikers bring a hiking pole. Standard departure time from the meeting place is either 9:00 a.m. or 10:00 a.m. as indicated in the event details. We recommend you get to the meeting place 15 minutes before departure to allow time for signing in. For hikes in the country, we typically carpool. Reimburse the driver $7 (exact change) for gas and maintenance costs at the end of the trip. Help keep the driver’s car clean by bringing alternate footwear and a bag for your muddy boots for the ride home. In these conditions it is highly likely the hike will be cancelled. Check the home page for announcements or call the hike leader or the hike coordinator for confirmation.